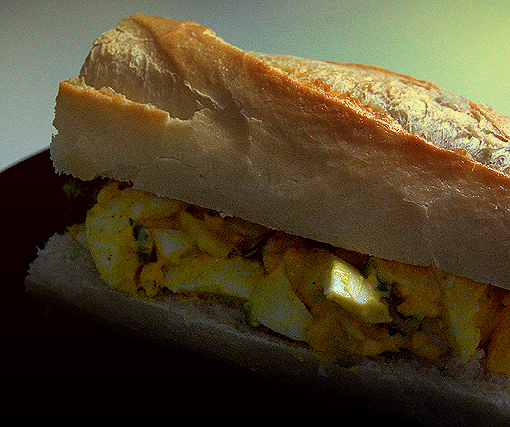 Decided to make egg sandwiches and thought that we may as well make the mayonnaise to go with it and was really worth the effort, which in all honesty wasn’t that much. 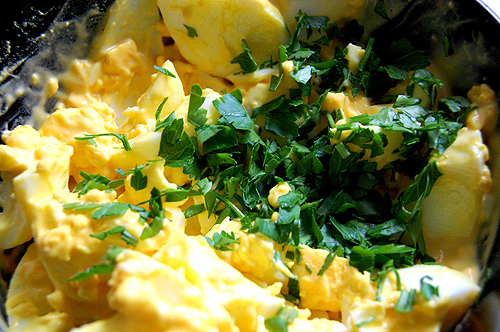 Clearly a lot more difficult than opening up a jar, but anyway… We put some fresh flat leaf parsley with the eggs and mayo which I think adds a really good flavour. 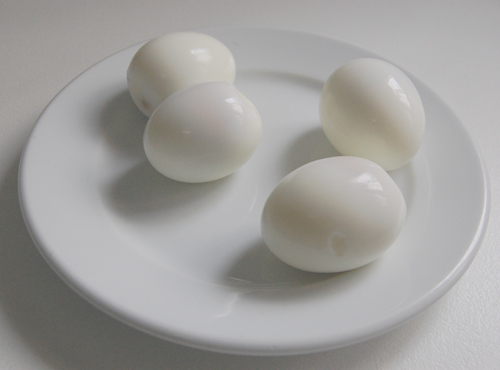 Fresh eggs is key to the success. 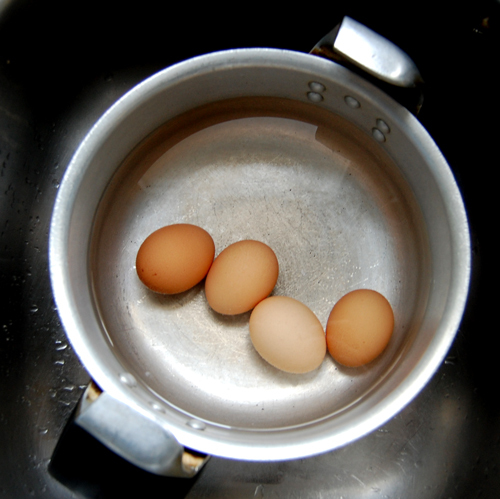 Place 4 eggs (that are at room temperature) in cold water and bring to the boil. Once boiling, reduce the heat and simmer the eggs for a further 5 minutes, this will give you a perfectly set white and a little bit of softness in the yolk. When the five minutes is up, plunge them into cold water and leave to cool. Then remove the shells. Slice them up in a bowl adding 2 heaped tablespoons of mayonnaise, a pinch of salt and some pepper as well as some chopped parsley. Mix thoroughly and place between some fresh bread. Now eat far too quickly and get indigestion like I did, or alternatively, just enjoy.